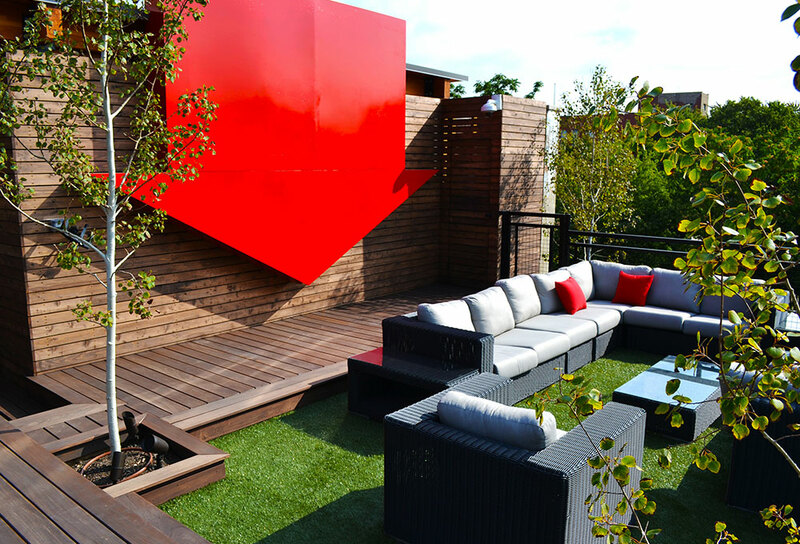 The Chicago Roof Deck team worked closely with the Guaranteed Rate Owner and management team to develop a program for their Corporate Headquarters on the North side of Chicago. 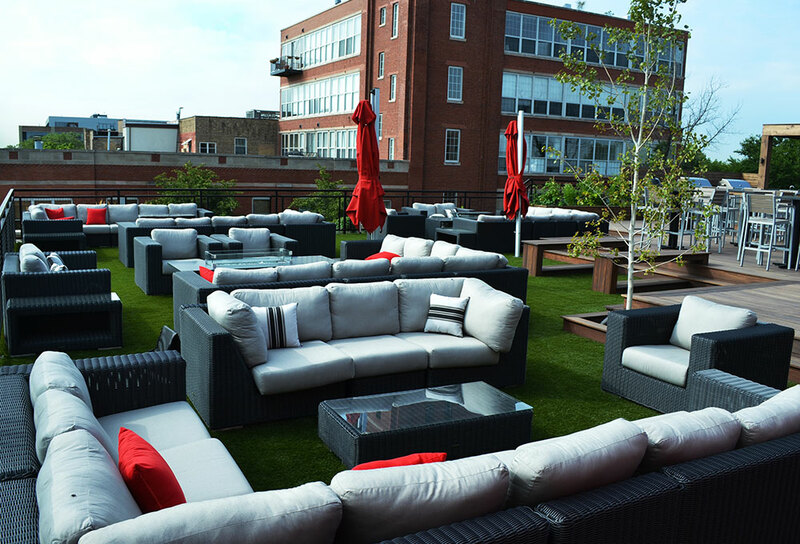 With 8,000+ sf of roof deck space to work with, the owner of Guaranteed Rate wanted to create a space that would serve as a work and lounge space for employees during the day and a space that could host occasional team events in the evenings. To do this, we divided the space into 4 distinct but connected spaces: veranda TV area, main lounge space, cocktail and cooking space and secluded lounge space. 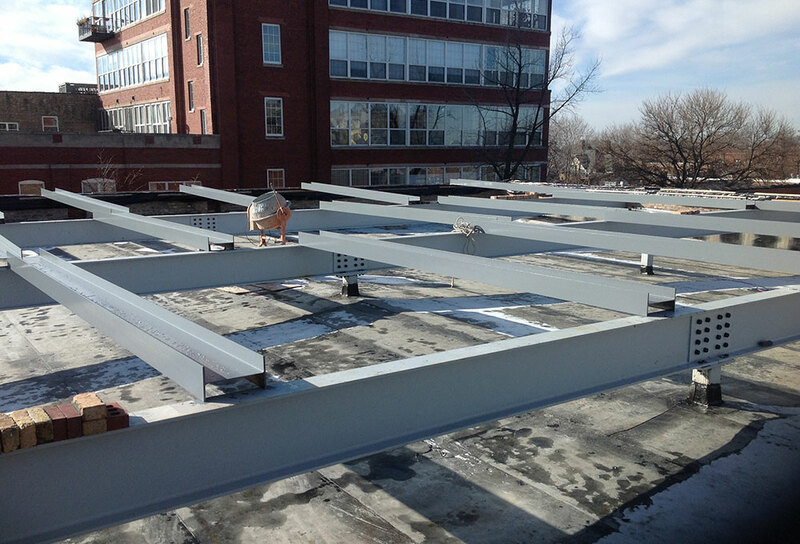 The scope of the project included installing structural steel, complete roofing removal and replacement, additional masonry and limestone work, adding secondary access points and installing nearly 8,000 square feet of ipe decking. Some of the details of the space include custom made metal sculptural pieces, an artists rendition of a faded logo, low-voltage lighting, built in kitchen including ice-makers, refrigerators and grills.